The best way to get to know a community is by scheduling a tour. 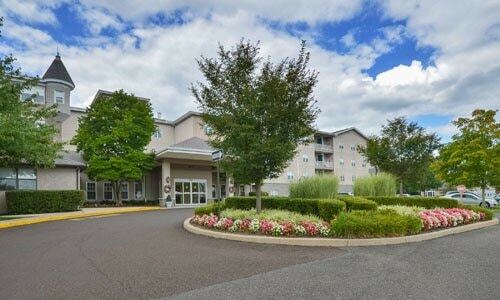 See the facilities, meet the staff and residents, and get a feel first hand what it's like to live at Wesley Enhanced Living Upper Moreland Assisted Living. Our Upper Moreland community offers all of the features of an upscale retirement community with a friendly, small-town feel. In this beautiful suburban enclave dotted with colorful gardens and easy walking paths, residents enjoy a maintenance-free lifestyle accented by an exciting roster of onsite social, cultural, and entertainment programs. If you'd like to live in a single family home with plenty of privacy, greenery and a neighborhood atmosphere, choose one of the beautifully designed cottages that surround our main building. If apartment living is more your style, opt for a spacious one- or two- bedroom apartment with dining, amenities, and plenty of activities right outside your door.